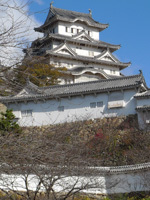 We are offering guided private tour from Nagoya to Mt. Fuji and Hakone. If you are interested in our model courses, please contact us. Do you like to visit Hakone for enjoying the view of Mt. Fuji from Nagoya in a day with a private guide? We, Hitonomori Co. Ltd. and Fun Lead International Co., Ltd., one of our partner travel agency, jointly provide you with a customizable day tour to Hakone from Nagoya. If you are interested, please contact us. Early in the morning, our guide will pick you up at the front of your hotel in Nagoya or meet at Nagoya Station. From Odawara to Odawara, time can be flexible since there are many interesting points to visit and transportation services. Walk around Motohakone Port: there are several famous shrines and historical points to visit. If the weather is fine, Mt. Fuji can be seen from various places during the tour. However, if it is cloudy, you may not see Mt. Fuji. For dinner we suggest to buy 'ekiben', which means 'packed meal at station', at Odawara Station and take it on Shinkansen. This is a Japanese typical way to take meal when traveling by train. If you do not like to take cold packed meal, then we can take early dinner in Odawara City. Low season price for two adult passengers: about 133,000 yen for above itinerary. Additional price for each additional adult passenger is around 22,000 yen. Please ask us about high season price and other numbers of the passengers. Full attendance of an English speaking guide from your hotel in Nagoya (for about 13 hours including overtime). Guides in other languages may be available upon request. Above itinerary and price are just examples. You can customize your tour for your particular needs and interests. For example, Hakone area is famous for hot springs. So you can dip yourself into one of many hot spas. Also, there are many art museums near Odawara. You can visit some of them. Additional admission fees are payable on the spot by cash. Please tell us your needs and interests. If you are interested in this tour, please contact us from this page.